A coffee shop in Bangkok is riding the gigantic online social network wave, becoming highly popular as a weekly meeting place for Twitter users. “Tweeple” (Tweet people) gather at the shop to make friends, get updates and show off their musical talent – or find job openings. Those musically talented can also join the band performing there. But whether they are capable or not is left up to voters on Twitter. In this way, individuals can own a brand without having to depend on the costly mainฌstream media for publicity. 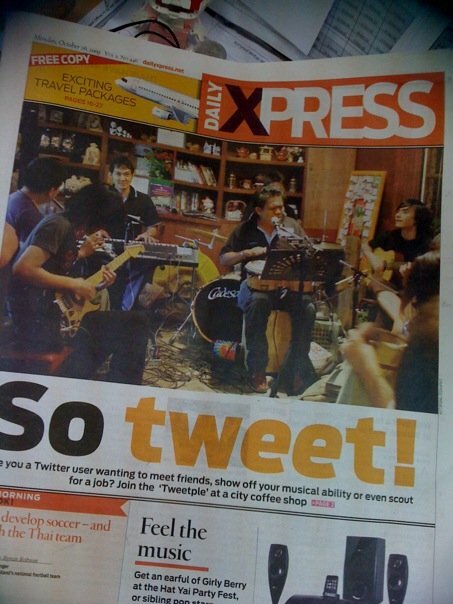 The band is also going to perform at the “Twittcm” event at a Wawee Coffee branch in Chiang Mai, and has been hired to perform at other events. Patchara said Twitter opens the chance for users to be close to famous people. Fugitive former prime minister Thaksin Shinawatra, or @thaksinlive, veteran politician Chaturon Chaisang, or @chaturon, and Patee Sarasin, or @patee122, have replied to his “tweets”. “In real life, we would never have a chance to talk to these people,” he says. 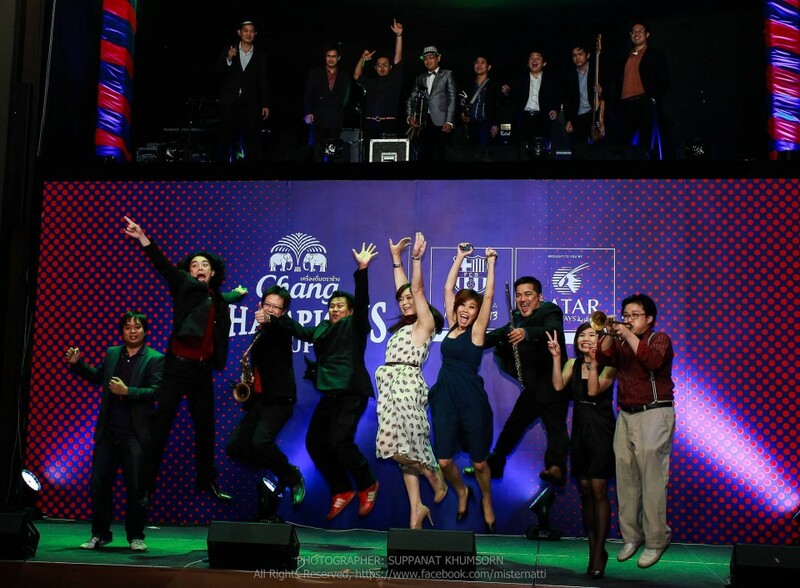 According to Patchara, Tweeple who joined the event and met their counterparts in person are more eager to get updates on their friends’ online. Meanwhile, other Tweeple who have heard people talking about the gatherings do not want to be “out of trend” by missing the next event. Tweeple also take part in other activities including “Twittbkk”, which has been held for a third time, and a BarCamp gathering, where every attendant must stand up and speak on any topic he or she fancies. The pictures of the Tweeple gathering at Wawee Coffee published here were acquired through announcements on Twitter. Click picture thumbnail for viewing, then use arrow key to navigate and ESC back to blog. For file, use right-hand click and choose “Open in new windows” or “View Image”, then “Save”.